Ahead of E3 this week Gameloft has released a new trailer for its upcoming smartphone and tablet first-person shooter (FPS) video game in the form of Modern Combat 5 Blackout. 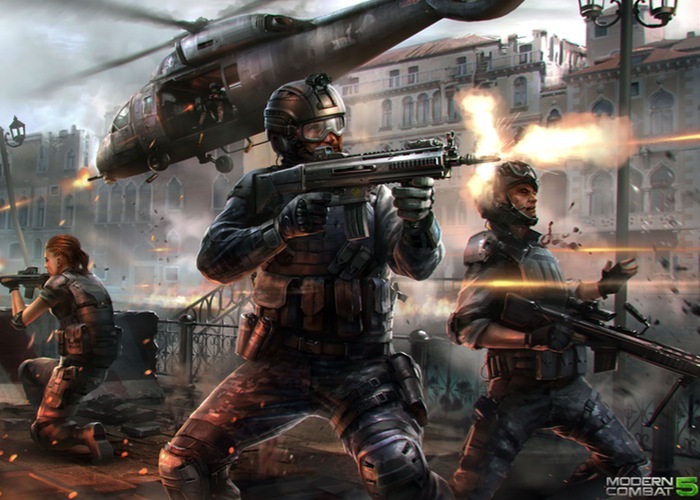 Gameloft’s Modern Combat 5 carries on the popular series and provide multiplayer features for squad vs squad multiplayer matches. Take a look at the teaser trailer for Modern Combat 5 Blackout after the jump to whet your appetite before a bigger reveal at E3 later this week. The new Modern Combat 5 game also includes global chat as well as a social network which enables players to meet other gamers and share their thoughts. As well as offering the ability to recruit new members to your squad. Unfortunately the voice chat feature will not be available at MC5 release but will be rolled out in a future update and will provide a much more enhanced system than that which was included with the previous MC4 game. For more information on the new Modern Combat 5 game jump over to the official Gameloft website for details. Modern Combat 5 Blackout is expected to launch in the next couple of months on iOS, Android and Windows Phone.